According to a 2017 overview of the Ukrainian investment market released in May 2018 by the Ukrainian Venture Capital and Private Equity Association (UVCA) in partnership with Deloitte, a total of $259 million in venture capital investment was made in technology and IT companies from Ukraine or with Ukrainian roots. This was a three-fold increase over the previous year. Despite this significant upward trend, financing for Ukrainian tech startups continues to be challenging. Two new, developing initiatives are aimed at making more startup funds available in the Ukrainian investment market. The UVCA is spearheading a major effort to create a fund of funds as a public-private partnership which would offer Ukrainian venture capital companies the opportunity to double their money raised in a 50/50 matching program. The association is discussing the project with the European Investment Fund (EIF), the EBRD and the Ukrainian government. The EIF has a mandate from the European Commission to facilitate investment in non-EU countries. Ukrainian Prime Minister Volodymyr Groysman has agreed to contribute from the country’s budget 10% of the estimated $100 million fund amount. 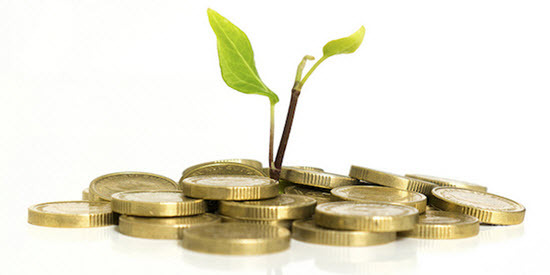 Ukrainian VC firms would apply for funding on a competitive basis. Various European countries, as well as Israel, Canada and others, have used this public-private partnership model to seed investment in the startup community for the last 20 years. UVCA Executive Director Olga Afanasyeva points out that discussions began two years ago and although the fund of funds is not yet operational the hope is that it will be established in the next year or so. “Since 90% of the capital in the fund of funds would flow-in from abroad, this is a major benefit for Ukraine,” she notes. And, with the additional matching funds raised by Ukrainian VCs, the total amount of new investment in Ukraine would double. “The creation of a fund of funds will make possible the involvement of large international institutional funds in the Ukrainian investment ecosystem,” said Andriy Kolodyuk, head of the Supervisory Board of the UVCA and co-founder of the fund Aventures Capital, in a recent statement. The Ukrainian Government is often criticized for not doing enough to support tech startups in the country, however this is changing. Deborah Fairlamb is a senior executive with extensive global experience in developing international products, programs and businesses. Most recently, she worked for UkraineInvest, which was created by the government to attract and support investment in Ukraine. Fairlamb is now consulting on the launch of the Ukrainian National Startup Fund (UNSF). The initiative for the fund came from Ukrainian PM Groysman who wants to assist Ukraine tech startups with early seed stage capital. “There is 50 million hryvnias (about $2 million) in the 2018 budget of Ukraine that will be used to start this fund focused on Ukrainian innovative companies and tech startups,” she says. Funds will be distributed as grants of $25,000-$75,000 on a competitive basis to facilitate early seed stage investment. Based on the available funds, about 40-80 companies could be served. Since this money is a grant, there is no equity required or payback by the companies involved. Fairlamb points out that there are 10 sectors that we will be the primary initial focus of UNSF: Blockchain, AI, IoT, energy, agritech, cybersecurity, fintech, medical technologies, defense, Big Data. Companies will be evaluated on both their product idea and the vision of how it will be brought to the market. The global potential of a product is also a key consideration. Companies will be able to apply for grants directly through the UNSF website when it comes online in the early fall of 2018. Afanasyeva and Fairlamb emphasize that these respective funds are not competing with each other. Each fund will offer Ukrainian tech startups new opportunities to finance their innovative products as they reach for a global market markets.